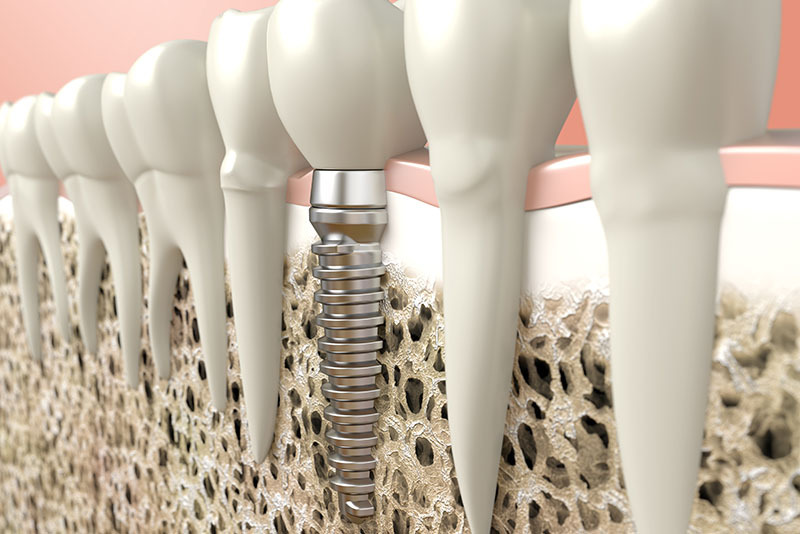 A dental implant is a small screw that is gently inserted in the jaw bone to replace a missing tooth or teeth. Modern implants have a long history of success. They open up a world of opportunities and options that are better, healthier and more comfortable. They are more cost effective than many alternative dental treatments. When teeth are lost the surrounding bone starts shrinking. Dental implants maintain the shape of the bone to help support the gums and facial profile. Implants are designed as an alternative to bridgework for permanently replacing missing teeth, eliminating the need to grind down healthy teeth. Another use for implants is securing or stabilising dentures for greater comfort and increased self confidence. Implants in general practice have become a highly predictable science they are the treatment of choice for patients with one missing tooth or more.